Posted on 14/04/2019 at 08:15. You are ready for your first Great Wall hiking trip of the year. You have organized well and done your research. You know daily distances and elevation gains. You purchased a good pair of boots and know what you are going to put in your pack. But are you really ready? Great Wall of China hiking is not a walk in the park. 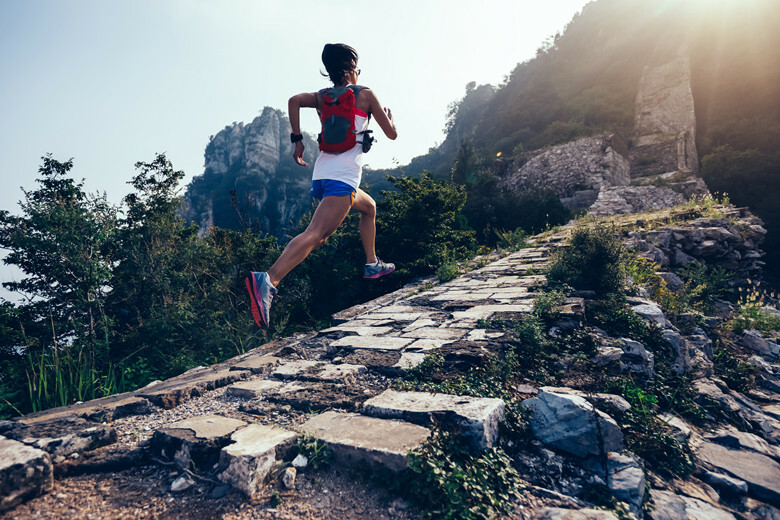 Is your body trained for the rigors of a rugged trail? Without adequate physical training and preparation, your hiking excursion can turn into a torturous and exhausting grind. Why fitness so important? There is a direct relationship between your level of physical fitness and your enjoyment of the Great Wall hiking experience. It does not matter what distance you are planning to hike, if you are not fit, you are going to hurt. When you hurt, you can’t have fun. It’s as simple as that. “Long distance” Great Wall hiking means different things to different people, but training principles will be consistent regardless of the length of the hike. The most effective training focuses on attaining peak fitness for a specific event or activity. The long distance hiker must focus on four important fitness areas. 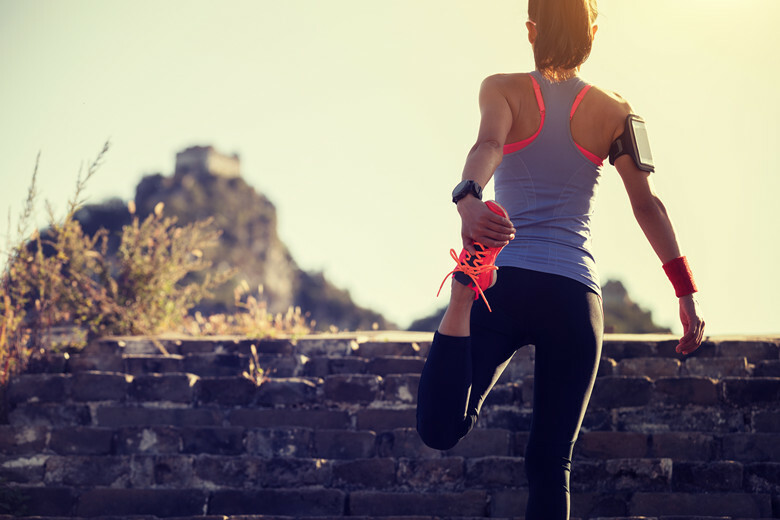 Most hikers try to keep a reasonably high level of fitness all-year, and kick it up in the weeks before the Great Wall hiking trip. For example, if you have planned a trip to Gubeikou & Jinshanling that will include one day-hike of 14 to 15 miles you should step up or begin a training about 10 weeks prior to the trip. The primary objective of my training is to get my body in shape to handle long climbs on steep mountain trails. The ideal training regimen will simulate the conditions I will encounter during my hike. If there are no hills nearby, you may have to improvise. Your training schedule and walking routine should start slowly with low mileage walks. Gradually increase the walking mileage as the weeks go by. During the first two weeks of training, walk three days each week (you should also exercise two additional days per week. More on that later). The first two walking days are 2 to 3 mile jaunts at a moderate pace. Increase the mileage to 4 to 5 miles on the third day. The third and fourth weeks of training continues with two 3 mile walks. But the long walk day is increased to 6-7 miles. By week eight you will still walking three days each week with a long walk of 8 to 10 miles once a week. To further condition your legs, add a few exercises such as lunges, burpees, body weight squats and pushups at various points during the walk. Continue this routine until a few days before the first big hike. Then take a couple days off from training to ensure your body is well-rested for the challenges of the trail. If you have hills where you live, include as many of them as possible in your training walks. Many people do not have that option. Sometimes waking will have to do. The planned hike example includes thousands of feet of elevation gain, but there are no big hills nearby to use for training. If you live in an area where there are multi-story buildings that means there are stairs. If so, find the building and walk the stairs once a week. The goal should least 50 flights each session. If it is a ten story building, ascend and descend the stairs 10 times. It is not enjoyable but it works. Climbing stairs will burn your legs up and give you an incredible cardio workout at the same time. Getting your body accustomed to gear is an often overlooked part of training for a long Great Wall hike. Walking with a heavy pack on your back will tax your core, back, shoulder and leg muscles. It will exhaust you if you are not prepared. Your pack for a long day Great Wall hike will weigh about 10 to 12 lbs, including water, food, rain gear, other clothing, and survival kit. Start wearing the pack on your walks starting in week five of my walking training. Doing this conditions muscles for the added weight and different weight distribution. It also toughens the shoulders and hips which will bear the load of the pack straps. While training for hiking, adjust your gym routine to condition your body for the upcoming trek. Do high-intensity cardio exercise on an Arc trainer or elliptical. Increase the incline and speed on the treadmill. Do the hard things now. It will make the hike much easier. If you do weight training, focus on your, legs, back, and core muscles. A twice-a-week kettlebell routine is perfect. Create a routine incorporating high-intensity, high-repetition sets of kettlebell swings, woodchoppers, cleans, upright rows and squats with minimal rest between sets. An added bonus of this high-intensity workout is its tremendous cardio benefit. Everyone trains differently. A routine like this will get you in peak condition for a three day high-mileage hike. Make sure you stick with conditioning program you choose, even on those days you don’t feel like it. Getting in shape for hiking can be hard work and tedious at times. Standing on a summit taking in a 360 degree panoramic view with 100 mile visibility makes it all worthwhile.